Milk, Lemon Juice and Honey: Mix one spoon of honey, lemon juice and milk to make a smooth paste. Cleanse your skin and then apply this mixture on your skin evenly. Leave the mixture on for about 20 minutes. Lemon juice and honey bleach the skin while milk nourishes it. Try this everyday and continue it regularly for soft and radiant skin. Dried Orange Peel and Yoghurt: Dry some orange peels under the sun. Grind these peels once they are dry and mix with one tablespoon of plain yoghurt. Mix it well to form a paste. Apply this on cleansed skin and leave for about 20 minutes. When it is dry rinse it off with water. This remedy can lighten existing spots and blemishes as well. Turmeric: Turmeric has been used for ages by our ancestors. Even today, it is considered one of the best lightening agents for the skin. Mix turmeric with lemon juice and make a smooth paste. Apply this mixture on your skin and leave it for 15 minutes. If required the paste can be diluted with water. After it is dry, wash it off with just water. Repeating this 3-4 times a week shows great results. Read Benefits of Turmeric here. Homemade Egg Pack: Beat one egg till it is fluffy. If you have lemon juice or lavender oil, you can add 2-3 drops to reduce the smell of the egg. Apply this pack on your face and allow it to stay until it is completely dry. Wash it off with cool water for supple, lightened skin. Tomato Pack: Tomatoes have always been considered an effective remedy for tanned skin. Make a tomato paste or puree. Add 2-3 tablespoons of lemon juice to this puree. Apply evenly on the skin and leave it for about 20 minutes. Wash it off with cold water. You can apply this pack every day before a bath. Papaya: Take a piece of fresh papaya. Rub it on your skin until the juice has been absorbed completely by your skin. Let this application dry completely. Wash it off with cool water and wipe dry for supple, fairer skin. You can even apply papaya pulp on the face if you need. Read 30 Benefits of Papaya For a Healthy Skin & Health here. 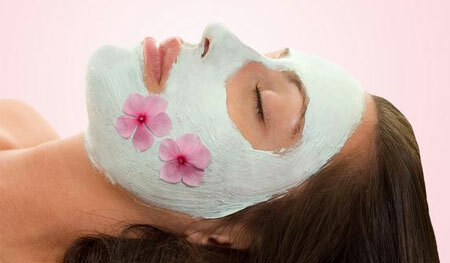 Rosewater: Rosewater is known to give you fair skin in very little time. Rosewater is available in stores. For better results, you can soak rose petals in water for a day and then use it. You can apply this water on your skin regularly. You can even wash your face with rose water for better results. When you wash your face with rose water, make sure you do not use any soap. Cucumber: Cucumber is one of the cheapest remedies to get fair skin. Cucumber consists of elements that can reduce melanin. It can also remove tan from the skin. You can either crush a cucumber or extract the juice and apply it on your face. More on Benefits of Cucumber here. Tulsi: Tulsi is a plant with many medicinal qualities. It can also remove skin tan and help you get a good complexion. Grind a few leaves of the Tulsi plant. Apply it on your skin evenly and allow it stay for about 15 minutes. Wash the pack off with luke warm water. You will be able to see the difference in about 3 weeks. Read more on Benefits of Tulsi. Olive Oil: Massaging your skin with olive oil regularly helps you lighten complexion. Olive oil also moisturizes skin and nourishes it. You can massage a bit of warm olive oil on the skin and wash it off after it has been soaked in by the skin. Apart from the ease and simplicity in preparation these home remedies also assure you complete protection from unwanted side effects on your skin.